Pennsylvania’s former Democratic Gov. Ed Rendell said the Clintons should shutdown their foundation if Hillary Clinton is elected to the White House in November. The Clinton Foundation has faced renewed scrutiny over the past few weeks. State Department emails released last week underscored overlapping interests between the Clinton Foundation and the department during Hillary Clinton’s tenure as secretary of state. The 296 pages of emails detailed instances of top Clinton Foundation officials rewarding their donors with access to the State Department. The Boston Globe editorial board echoed Rendell’s calls for the foundation to shutter should Hillary Clinton win. "The foundation should remove a political–and actual–distraction and stop accepting funding. If Clinton is elected, the foundation should be shut down," the Globe wrote Tuesday. "The inherent conflict of interest was obvious when Hillary Clinton became secretary of state in 2009. 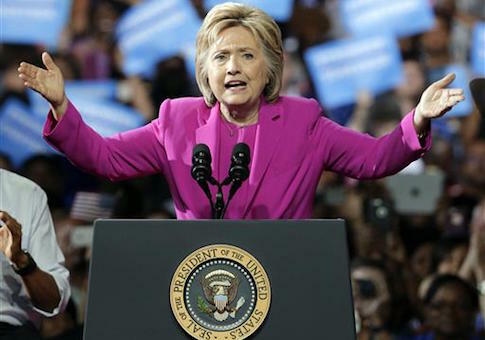 She promised to maintain a separation between her official work and the foundation, but recently released emails written by staffers during her State Department tenure make clear that the supposed partition was far from impregnable," the editorial added. State Department emails published by the Daily Mail on Tuesday revealed that Abu Dhabi’s state-run oil company offered $50,000 to the Clinton Foundation while its government was lobbying the State Department for a major airline deal. The Clinton Foundation said it does not have a record of the TAQA donation, but March 2012 emails showed foundation officials pressing Clinton’s former chief of staff Cheryl Mills for approval. A separate deep dive into the foundation published Wednesday uncovered records showing that soon after Clinton left the State Department, agency officials moved to purchase real estate in Nigeria from a firm whose "parent company is owned by a major donor to the Clinton Foundation," according to Fox News. A law enforcement official told CNN last week that the Justice Department blocked the FBI earlier this year from launching an investigation into the ties between the Clinton Foundation and the State Department. This entry was posted in Politics and tagged 2016 Election, Clinton Foundation, Ed Rendell, Hillary Clinton, State Department. Bookmark the permalink.